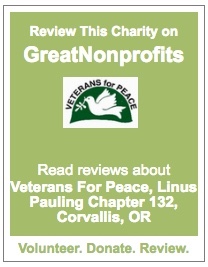 The Linus Pauling Chapter of VFP Corvallis is a chapter of Veterans For Peace, St. Louis, MO, which has been waging peace since 1985 and is an NGO recognized by the United Nations. The local chapter and the national organization are both 501(c)3 non-profit organizations. 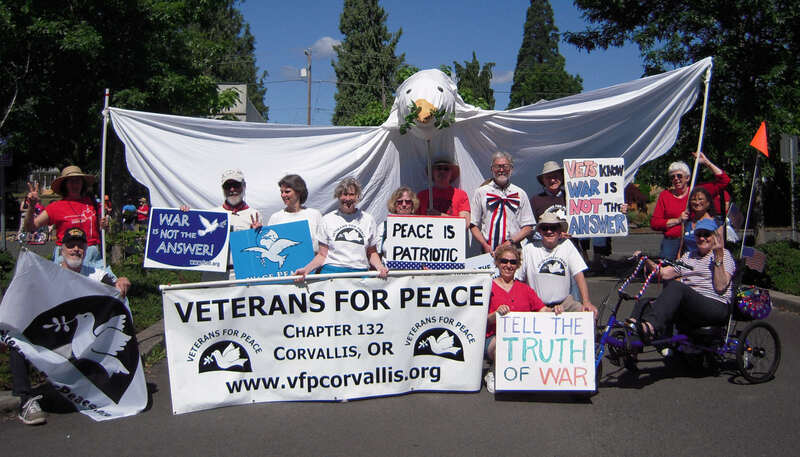 Veterans For Peace is made up of veteran and associate members. More information about the national organization, including our Statement of Purpose and contact information for a VFP chapter near you, may be found at: http://www.veteransforpeace.org. Veterans For Peace is dedicated to eliminating war as an implement of foreign policy and to that end, works to educate the public about the true costs of war. 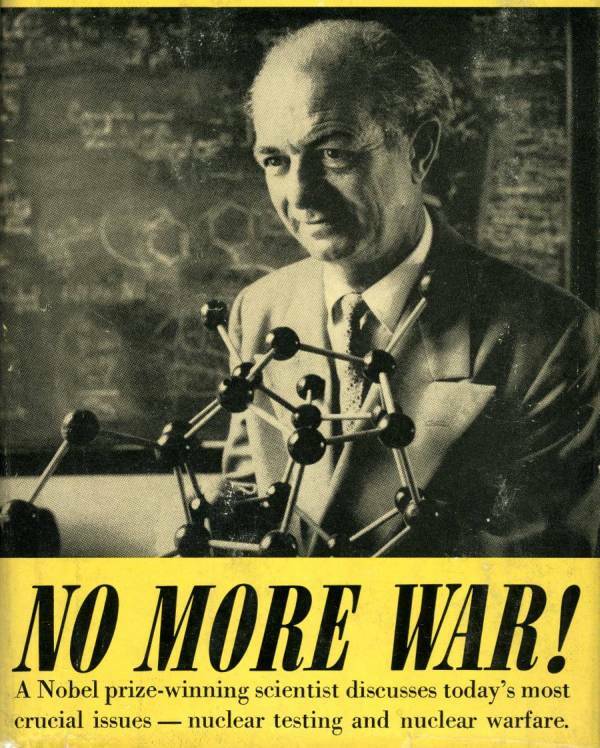 In 2011, VFP Chapter 132 was recharterd as The Linus Pauling Chapter in honor of the great chemist and peace activist, Linus Pauling. But we also bear tribute to his wife, Ava Helen Pauling, who inspired much of his peace activism and contributed much in her own right to the peace movement. Their archives are housed at Oregon State University and can be visited on line and in person.